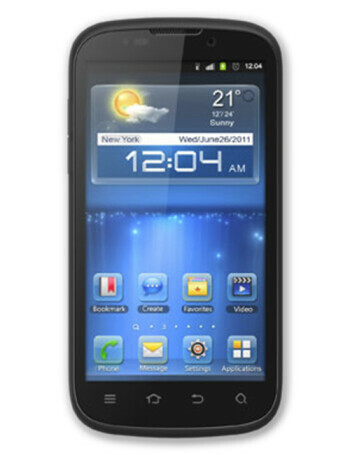 ZTE Grand X IN is an Android 4.0 running smartphone and will be powered by the Intel Atom Z2460 processor. The Atom Z2460 is a single-core CPU, clocked at 1.6GHz and supporting the Hyper-Threading Technology. The Grand X IN will also feature Intel's XMM 6260 platform, which provides HSPA+ connectivity of up to 21 Mbps on the downlink. Other than that, the ZTE Grand X IN will be a pretty decently-spec'd device, featuring a sizable 4.3" qHD (540x960 pixels) TFT display, 8MP camera (plus VGA front-facing one), 1080p camcorder, 1GB RAM, 16GB internal storage with the option to install a microSD card, NFC, HD Voice, noise-cancellation microphone and pretty much any type of sensor that you can think of.